One may think that a blue cruise is a holiday style is only affordable by travelers with high budgets. On the contrary, a blue cruise holiday in Turkey is offered in a variety of price ranges; therefore they can be quite budget-friendly. The prices change from one gulet to the other. 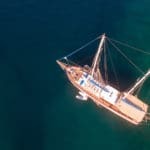 during last minute season, some of the most beautiful and higher priced gulets can drop the prices quite low – but of course it is by chance as most of the popular gulet boat charters are usually fully booked. As darling as her name, the Sofia gulet, is a delight to travel aboard. She offers her kindness and personal appeal in design, layout and the crew of 2. This superb 3 cabin gulet for hire is available for your charter boat vacations from Marmaris harbor in the southern coast of Turkey. 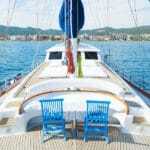 This Mediterranean boat charter , Sofia has actually been a bit of secret in the charter world. She was not actually commercially offered until 2012. Prior to this time, the Sofia gulet provided pleasurable blue cruises to her owners – a well known family in Marmaris, Turkey. Among the three cabins that guests can choose from, you will find a very spacious and airy master cabin with a great deal of cabinet space – not that you really need it when you are out at sea. Located right across from each other are two double cabins. Each cabin offers en suite for private use as well as air conditioners. What’s a boat holiday in Turkey without water toys. This lovely gulet offers a selection of water sport toys that you can play with during your blue cruise vacation. 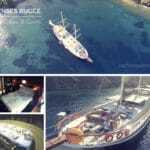 Gulet Sofia was last refitted in 2012, therefore she is a great condition for boat charters from Marmaris harbor. Unlike some small boutique boat charters, Sofia gulet is not limited to where she can go along the southern shores of Turkey. In fact, should you be looking for a combination of culture and history, the neighboring islands of Rhodes, Kos and Symi can certainly be added to your itinerary from Turkey. 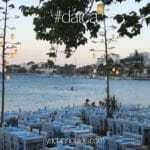 Alternatively, if you are keen on absorbing as much of the Turkish culture and history during your weeks’ holiday, then there are certainly plenty of breathtaking hidden bays, or bustling harbors to visit. If it’s history you say, you can find are an array of historical places of interest en route, that the gulet boat charter Sofia would be delighted to take you and your group to. Turkey blue cruises and the darling Sofia is at your service from April, right up until the end of October to show you around the spectacular Mediterranean and Aegean regions of both Turkey and Greece!